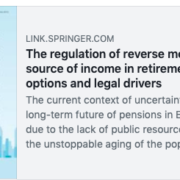 Dr. Héctor Simón has published the article “The regulation of reverse mortgages as a source of income in retirement: policy options and legal drivers” in the Journal of Housing and the Built Environment (https://link.springer.com/article/10.1007/s10901-019-09653-3), which analyzes policy options to encourage the contracting of reverse mortgages from a legal perspective. A full-text view-only version of the paper is available at https://rdcu.be/bpdP7. The Catalogue of services for homeless in Tarragona has been published. It contains all the existing actors and resources for homeless people in Tarragona city. 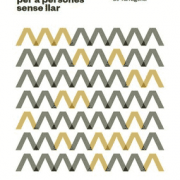 This Catalogue has been fostered and undertaken by the Xarxa d’Atenció Integral de Persones Sense Llarde Tarragona, a Network spurred by the Municipal Institute for Social Services in Tarragona (IMSST) and working for homeless people in this city. The UNESCO Housing Chair is part of this Network, together with public authorities, social entities and other university institutes. It has been created to give priority to homelessness within the social policies. Reshaping the concept of housing in a Land Registry of the twenty-first century adapted to social needs. 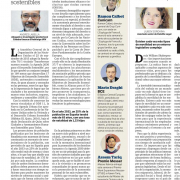 Reformulación del concepto de vivienda en un Registro de la Propiedad del Siglo XXI adaptado a las necesidades sociales. 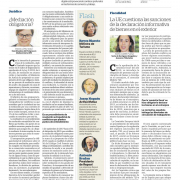 Newspaper article authored by Emma López in Diari de Tarragona, 20.1.2019.
http://housing.urv.cat/wp-content/uploads/2019/01/mediacion.jpg 1600 1200 Càtedra UNESCO d'Habitatge URV http://housing.urv.cat/wp-content/uploads/2017/06/unesco-housing-chair-transp.png Càtedra UNESCO d'Habitatge URV2019-01-21 14:26:482019-01-21 14:27:22Should mediation be compulsory? The loss of a home can lead to major violations of a person’s dignity and human rights. Yet, evictions take place everyday in all countries across Europe. 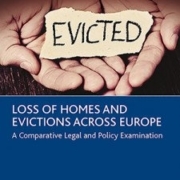 This book provides a comparative assessment of human rights, administrative, procedural and public policy norms, in the context of eviction, across a number of European jurisdictions. Through this comparison the book exposes the emergence of consistent, Europe-wide standards and norms. 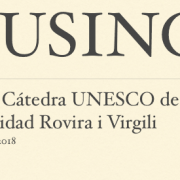 The researcher of the UNESCO Chair of Housing of the URV Dr. Elga Molina Roig publishes her doctoral thesis “A new regulation of housing tenancies in a European context”. 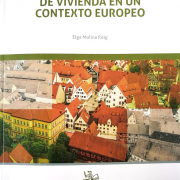 This book undertakes a critical study of the current housing tenancy contract in Spain and proposes a new regulation, which is considered essential to correct the existing dysfunctions in the rental market (lowest rate in Western Europe, wide black market, unaffordability) and, in particular, to turn the tenancy tenure into a real alternative (and not merely frictional) to homeownership as a way of access to housing. The functional model that we propose pursues, on the one hand, stability (fostering open-ended contracts), affordability (promoting referenced rent systems) and flexibility (facilitating withdrawal and sublease rights) of the tenant. 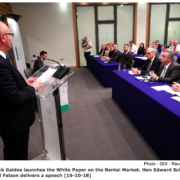 On the other hand, it seeks profitability (referenced rent systems at market prices), guarantees and security (deposits, guarantee insurances or a possible legal pledge) of the landlord. 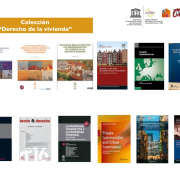 To this end, the historical law, positive law and comparative law of countries with the lowest (Greece, Portugal, Italy, Malta and Spain) and the highest rental rates in Europe (Germany, Switzerland and Austria) are considered. 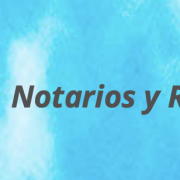 In addition, and in order to reinterpret these regulations according to the right to housing, we have analysed the reasonableness and proportionality of the proposed measures to seek a balance between the rights and obligations of the parties.